From May 14-17, the global elite met in secret in Greece for the yearly Bilderberg conference, amid scattered and limited global media attention. Roughly 130 of the world’s most powerful individuals came together to discuss the pressing issues of today, and to chart a course for the next year. The main topic of discussion at this years meeting was the global financial crisis, which is no surprise, considering the list of conference attendees includes many of the primary architects of the crisis, as well as those poised to “solve” it. Before the meeting began, Bilderberg investigative journalist Daniel Estulin reported on the main item of the agenda, which was leaked to him by his sources inside. Though such reports cannot be verified, his sources, along with those of veteran Bilderberg tracker, Jim Tucker, have proven to be shockingly accurate in the past. Apparently, the main topic of discussion at this year’s meeting was to address the economic crisis, in terms of undertaking, “Either a prolonged, agonizing depression that dooms the world to decades of stagnation, decline and poverty … or an intense-but-shorter depression that paves the way for a new sustainable economic world order, with less sovereignty but more efficiency.” Other items on the agenda included a plan to “continue to deceive millions of savers and investors who believe the hype about the supposed up-turn in the economy. They are about to be set up for massive losses and searing financial pain in the months ahead,” and “There will be a final push for the enactment of Lisbon Treaty, pending on Irish voting YES on the treaty in Sept or October,” which would give the European Union massive powers over its member nations, essentially making it a supranational regional government, with each country relegated to more of a provincial status. On May 21, the Macedonian International News Agency reported that, “A new Kremlin report on the shadowy Bilderberg Group, who this past week held their annual meeting in Greece, states that the West’s financial, political and corporate elite emerged from their conclave after coming to an agreement that in order to continue their drive towards a New World Order dominated by the Western Powers, the US Dollar has to be ‘totally’ destroyed.” Further, this same unconfirmed Kremlin report, stated that, “most of the West’s wealthiest elite convened at an unprecedented secret meeting in New York called for and led by” David Rockefeller, “to plot the demise of the US Dollar.” This report, which was not acknowledged by other media sources, requires verification. The meeting being referred to was a secret meeting where, “A dozen of the richest people in the world met for an unprecedented private gathering at the invitation of Bill Gates and Warren Buffett to talk about giving away money,” held at Rockefeller University, and included notable philanthropists such as Gates, Buffett, New York Mayor Michael Bloomberg, George Soros, Eli Broad, Oprah Winfrey, David Rockefeller Sr. and Ted Turner. One attendee stated that, “It wasn’t secret,” but that, “It was meant to be a gathering among friends and colleagues. It was something folks have been discussing for a long time. Bill and Warren hoped to do this occasionally. They sent out an invite and people came.” Chronicle of Philanthropy editor Stacy Palmer said, “Given how serious these economic times are, I don’t think it’s surprising these philanthropists came together,” and that, “They don’t typically get together and ask each other for advice.” The three hosts of the meeting were Buffet, Gates and David Rockefeller. [See: Appendix 2: Bilderberg Connections to the Billionaire’s Meeting]. former Chairman and CEO of Chase Manhattan. Bilderberg investigative reporter Daniel Estulin reportedly received from his inside sources a 73-page Bilderberg Group meeting wrap-up for participants, which revealed that there were some serious disagreements among the participants. “The hardliners are for dramatic decline and a severe, short-term depression, but there are those who think that things have gone too far and that the fallout from the global economic cataclysm cannot be accurately calculated if Henry Kissinger’s model is chosen. Among them is Richard Holbrooke. What is unknown at this point: if Holbrooke’s point of view is, in fact, Obama’s.” The consensus view was that the recession would get worse, and that recovery would be “relatively slow and protracted,” and to look for these terms in the press over the next weeks and months. It was reported that “Treasury Secretary Timothy Geithner was set to discuss proposals to change financial regulations last night at a dinner with National Economic Council Director Lawrence Summers [who was also present at Bilderberg], former Fed Chairman Paul Volcker [also at Bilderberg], ex-SEC Chairman Arthur Levitt and Elizabeth Warren, the Harvard University law professor who heads the congressional watchdog group for the $700 billion Troubled Asset Relief Program.” The Federal Reserve is a privately owned central bank, owned by its shareholders, consisting of the major banks the make up each regional Fed bank (the largest of which is JP Morgan Chase and the Federal Reserve Bank of New York). This plan would essentially give a privately owned bank, which has governmental authority, the ability to regulate the banks that own it. It’s the equivalent of getting a Colonel to guard a General to whom he is directly answerable. Talk about the fox guarding the hen house. It is literally granting ownership over the financial regulator to the banks being regulated. The Bilderberg agenda of creating a global treasury has already been started prior to the Bilderberg meeting, with decisions made during the G20 financial summit in April. Although the G20 seemed to frame it more in context of being formed into a global central bank, although it is likely the IMF could fill both roles. Recent reports have also indicated that the IMF’s role in issuing SDRs goes hand in hand with the Bilderberg discussion on the potential collapse of the US dollar, and, “Transforming the dollar standard into an SDR-based system would be a major break with a policy that has lasted more than 60 years.” It was reported that, “There are two ways in which the dollar’s role in the international monetary system can be reduced. One possibility is a gradual, market-determined erosion of the dollar as a reserve currency in favor of the euro. But, while the euro’s international role – especially its use in financial markets – has increased since its inception, it is hard to envisage it overtaking the dollar as the dominant reserve currency in the foreseeable future.” However, “With the dollar’s hegemony unlikely to be seriously undermined by market forces, at least in the short and medium-term, the only way to bring about a major reduction in its role as a reserve currency is by international agreement.” This is where the SDRs come into play, as “One way to make the SDR the major reserve currency relatively soon would be to create and allocate a massive amount of new SDRs to the IMF’s members.” This is, interestingly, exactly what is happening with Africa and the IMF now. Former IMF Managing Director Jacques de Larosière recently stated that the current financial crisis, “given its scope, presents a unique opening to improve institutions, and there is already a danger that the chance might be missed if the different actors cannot agree to changes by the time economic growth resumes.” He is now an adviser with BNP Paribas, a corporation highly represented at Bilderberg meetings, and he was head of the Treasury of France when Valéry Giscard d’Estaing was President of France, who is a regular of the Bilderberg Group. The British paper, the Guardian, was the only major mainstream news publication to provide ongoing coverage of the Bilderberg meeting over the weekend. His first columns were satirical and slightly mocking, referring to it as, “A long weekend at a luxury hotel, where the world’s elite get to shake hands, clink glasses, fine-tune their global agenda and squabble over who gets the best sun loungers. I’m guessing that Henry Kissinger brings his own, has it helicoptered in and guarded 24/7 by a CIA special ops team.” However, as the weekend dragged on, his reporting took a change of tone. He reported on the Saturday that, “I know that I’m being followed. I know because I’ve just been chatting to the plainclothes policemen I caught following me,” and he was arrested twice in the first day of the meetings for attempting to take photographs as the limousines entered the hotel. On Sunday, May 17, Skelton reported that when he asked the police chief why he was being followed, the chief responded asking, “Why you here?” to which Skelton said he was there to cover the Bilderberg conference, after which the chief stated, “Well, that is the reason! That is why! We are finished!” Do reporters get followed around and stalked by police officers when they cover the World Economic Forum? No. So why does it happen with Bilderberg if all it is, is a conference to discuss ideas freely? Among the members of the Bilderberg Group are various European monarchs. 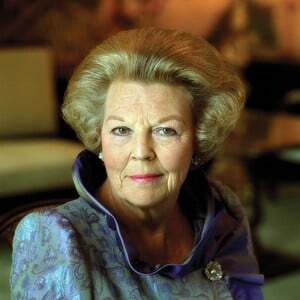 At this years meeting, Queen Beatrix of the Netherlands was present, who happens to be the largest single shareholder in Royal Dutch Shell, one of the world’s largest corporations. She was joined by one of her three sons, Prince Constantijn, who also attended the meeting. Prince Constantijn has worked with the Dutch European Commissioner for the EU, as well as having been a strategic policy consultant with Booz Allen & Hamilton in London, a major strategy and technology consulting firm with expertise in Economic and Business Analysis, Intelligence and Operations Analysis and Information Technology, among many others. Prince Constantijn has also been a policy researcher for RAND Corporation in Europe. RAND was initially founded as a global policy think tank that was formed to offer research and analysis to the US Armed Forces, however, it now works with governments, foundations, international organizations and commercial organizations. Also present among European Royalty was Prince Philippe of Belgium, and Queen Sofia of Spain. As usual, the list of attendees was also replete with names representing the largest banks in the world. 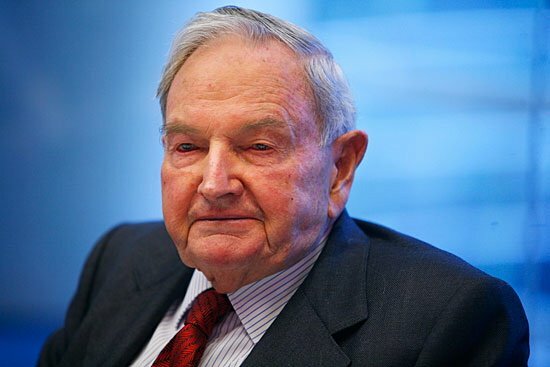 Among them, David Rockefeller, former CEO and Chairman of Chase Manhattan, now JP Morgan Chase, of which he was, until recently, Chairman of the International Advisory Board; and still sits as Honourary Chairman of the Council on Foreign Relations, Chairman of the Board of the Americas Society and Council of the Americas, Honourary Chairman of the Trilateral Commission, which he founded alongside Zbigniew Brzezinski; also a founding member of the Bilderberg Group, prominent philanthropist and is the current patriarch of one of the world’s richest and most powerful banking dynasties. Also present was Josef Ackermann, a Swiss banker who is CEO of Deutsche Bank, also a non-executive director of Royal Dutch Shell; Deputy Chairman of Siemens AG, Europe’s largest engineering corporation; he is also a member of the International Advisory Council of Zurich Financial Services Group; Chairman of the Board of the Institute International of Finance, the world’s only global association of financial institutions; and Vice Chairman of the Foundation Board of the World Economic Forum. Canadian bankers include W. Edmund Clark, President and CEO of TD Bank Financial Group, also a member of the board of directors of the C.D. Howe Institute, a prominent Canadian think tank; Frank McKenna, Deputy Chairman of TD Bank Financial Group, former Canadian Ambassador to the United States, former Premier of New Brunswick; and Indira Samarasekera, President of the University of Alberta, who is also on the board of Scotiabank, one of Canada’s largest banks. Of course, among the notable members of the Bilderberg Group, are the world’s major central bankers. Among this years members are the Governor of the National Bank of Greece, Governor of the Bank of Italy, President of the European Investment Bank, James Wolfensohn, former President of the World Bank, and Nout Wellink, on the board of the Bank for International Settlements (BIS). Jean-Claude Trichet, the President of the European Central Bank was also present. There is no indication that the Governor of the Federal Reserve, Ben Bernanke was present, which would be an odd turn of events, considering that the Federal Reserve Governor is always present at Bilderberg meetings, alongside the President of the Federal Reserve Bank of New York, William C. Dudley. I have contacted the New York Fed inquiring if Dudley visited Greece or went to any meetings in Greece between May 14-17, or if another senior representative from the New York Fed went in his stead. I have yet to get a response. The Obama administration was heavily represented at this years Bilderberg meeting. 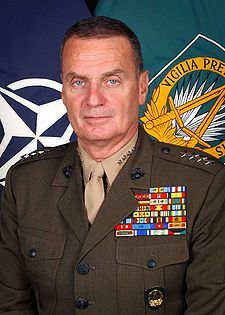 Among the attendees were Keith B. Alexander, a Lieutenant General of U.S. Army and Director of the National Security Agency, the massive spying agency of the United States; Timothy Geithner, US Treasury Secretary and former President of the Federal Reserve Bank of New York; Richard Holbrooke, the Obama administration’s special envoy for Afghanistan and Pakistan; General James Jones, United States National Security Advisor; Henry Kissinger, Obama’s special envoy to Russia, longtime Bilderberg member and former Secretary of State and National Security Advisor; Dennis Ross, special advisor for the Persian Gulf and Southwest Asia to Secretary of State Hillary Clinton; David Patraeus, Commander of CENTCOM, (U.S. Central Command, in the Middle East), Lawrence Summers, Director of the White House’s National Economic Council, former Treasury Secretary in the Clinton administration, former President of Harvard University, former Chief Economist of the World Bank; Paul Volcker, former Governor of the Federal Reserve System and Chair of Obama’s Economic Recovery Advisory Board; Robert Zoellick, former Chairman of Goldman Sachs and current President of the World Bank; and Deputy Secretary of State James Steinberg. Among many others present at the meeting are Viscount Étienne Davignon, former Vice President of the European Commission, and Honourary Chairman of the Bilderberg Group; Francisco Pinto Balsemão, former Prime Minister of Portugal; Franco Bernabè, CEO of Telecom Italia and Vice Chairman of Rothschild Europe; Carl Bildt, former Prime Minister of Sweden; Kenneth Clarke, Shadow Business Secretary in the UK; Richard Dearlove, former head of Britain’s Secret Intelligence Services (MI6); Donald Graham, CEO of the Washington Post Company; Jaap De Hoop Scheffer, Secretary-General of NATO; John Kerr, member of the British House of Lords and Deputy Chairman of Royal Dutch Shell; Jessica Matthews, President of the Carnegie Endowment for International Peace; Richard Perle of the American Enterprise Institute; Romano Prodi, former Italian Prime Minister; J. Robert S. Prichard, CEO of Torstar Corporation and President Emeritus of the University of Toronto; Peter Sutherland, former Director General of the General Agreement on Tariffs and Trade (GATT), first Director General of the World Trade Organization (WTO), and is currently Chairman of British Petroleum (BP) and Goldman Sachs International as well as being a board member of the Royal Bank of Scotland, Chairman of the Trilateral Commission, Vice Chairman of the European Roundtable of Industrialists, and longtime Bilderberg member; Peter Thiel, on the board of directors of Facebook; Jeroen van der Veer, CEO of Royal Dutch Shell; Martin Wolf, Associate Editor and Chief Economics Commentator of the Financial Times newspaper; and Fareed Zakaria, US journalist and board member of the Council on Foreign Relations. There were also some reports that this years meeting would include Google CEO Eric Schmidt, as well as Wall Street Journal Editor Paul Gigot, both of whom attended last years meeting. Clearly, it was the prerogative of this year’s Bilderberg meeting to exploit the global financial crisis as much as possible to reach goals they have been striving toward for many years. These include the creation of a Global Treasury Department, likely in conjunction with or embodied in the same institution as a Global Central Bank, both of which seem to be in the process of being incorporated into the IMF. Naturally, Bilderberg meetings serve the interests of the people and organizations that are represented there. Due to the large amount of representatives from the Obama administration that were present, US policies revolving around the financial crisis are likely to have emerged from and serve the interests of the Bilderberg Group. Given the heavy representation of Obama’s foreign policy establishment at the Bilderberg meeting, it seemed surprising to not have received any more information regarding US foreign policy from this year’s meeting, perhaps having to do with Pakistan and Afghanistan. So, given these recent changes, as well as the high degree of representation Obama’s foreign policy establishment held at Bildebrerg this year, there were likely to have been some decisions or at least discussion of the escalation of the Afghan war and expansion into Pakistan. However, it is not surprising that the main item on the agenda was the global financial crisis. Without a doubt, the next year will be an interesting one, and the elite are surely hoping to make it a productive one. Peter G. Peterson, one of the guests in attendance at the secret billionaires meeting, was the former United States Secretary of Commerce in the Nixon administration, Chairman and CEO of Lehman Brothers, Kuhn, Loeb Inc., from 1977 to 1984, he co-founded the prominent private equity and investment management firm, the Blackstone Group, of which he is currently Senior Chairman, and in 1985, he became Chairman of the Council on Foreign Relations, taking over when David Rockefeller stepped down from that position. He founded the Peterson Institute for International Economics and was Chairman of the New York Federal Reserve Bank from 2000-2004. 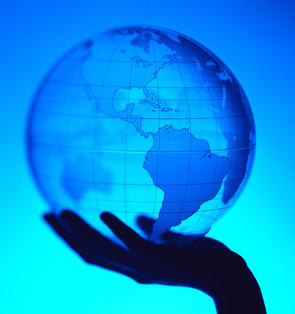 The Peterson Institute for International Economics is a major world economic think tank, which seeks to “inform and shape public debate,” from which, “Institute studies have helped provide the intellectual foundation for many of the major international financial initiatives of the past two decades: reform of the International Monetary Fund (IMF), adoption of international banking standards, exchange rate systems in the G-7 and emerging-market economies, policies toward the dollar, the euro, and other important currencies, and responses to debt and currency crises (including the current crisis of 2008–09).” It has also “made important contributions to key trade policy decisions” such as the development of the World Trade Organization, NAFTA, APEC, and East Asian regionalism. It has a prominent list of names on its board of directors. 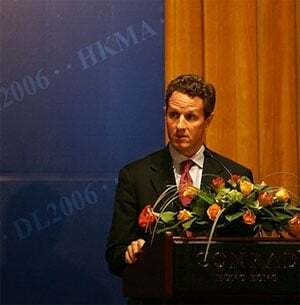 Peter G. Peterson is Chairman of the board; George David, Chairman of United Technologies is Vice Chairman, as well as being a board member of Citigroup, and was a guest at this year’s Bilderberg meeting; Chen Yuan, Governor of the China Development Bank and former Deputy Governor of the People’s Bank of China (China’s central bank); Jessica Einhorn, Dean of Washington’s Paul H. Nitze School of Advanced International Studies (SAIS) of the Johns Hopkins University, former Visiting Fellow of the International Monetary Fund (IMF), former Managing Director of the World Bank, and currently on the board of Time Warner and the Council on Foreign Relations; Stanley Fischer, Governor of the Central Bank of Israel, former Vice President at the World Bank, former Managing Director at the IMF, former Vice Chairman of Citigroup, and has also been a regular participant in Bilderberg meetings; Carla A. Hills, former US Trade Representative, and was the prime negotiator of NAFTA, she sits on the International Advisory Boards of American International Group, the Coca-Cola Company, Gilead Sciences, J.P. Morgan Chase, member of the Executive Committee of the Trilateral Commission, Co-Chair of the Council on Foreign Relations, and played a key part in the CFR document, “Building a North American Community,” which seeks to remodel North America following along the lines of the European Union, and she has also been a prominent Bilderberg member; David Rockefeller also sits on the Peterson Institute’s board, as well as Lynn Forester de Rothschild; Jean-Claude Trichet, President of the European Central Bank, who is at every Bilderberg meeting; Paul A. Volcker, former Governor of the Federal Reserve System, regular participant of Bilderberg meetings, and current Chair of Obama’s Economic Recovery Advisory Board. Jeffrey Garten, Undersecretary of Commerce for International Trade in the Clinton administration, former Dean of the Yale School of Management, previously served on the White House Council on International Economic Policy under the Nixon administration and on the policy planning staffs of Secretaries of State Henry Kissinger and Cyrus Vance of the Ford and Carter administrations. He also was a managing director of Lehman Brothers and the Blackstone Group, is also a member of the Council on Foreign Relations. As early as 1998, Garten wrote an article for the New York Times in which he advocated the creation of a global central bank.